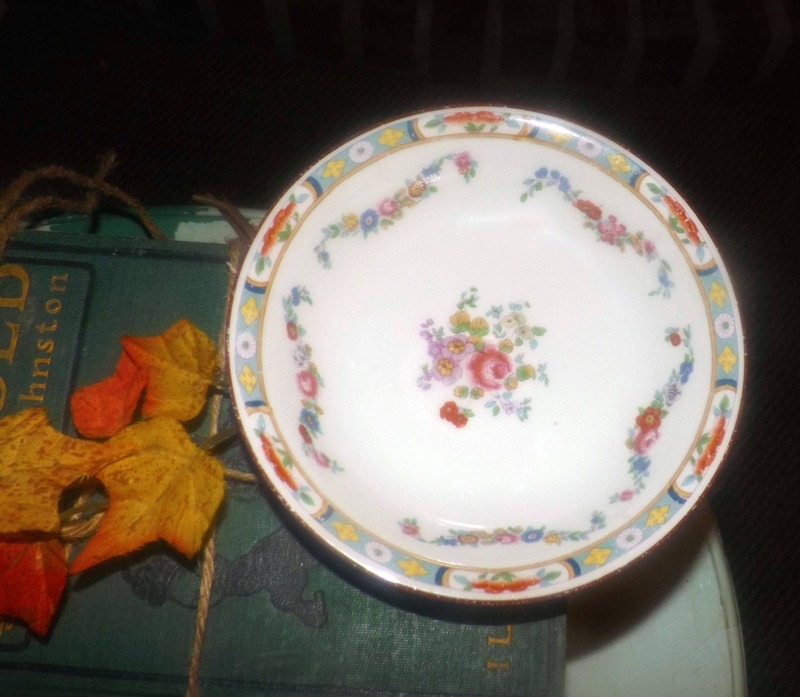 Set of 4 antique (1912) J&G Meakin Richmond White hand-painted fruit nappies, dessert or berry bowls. 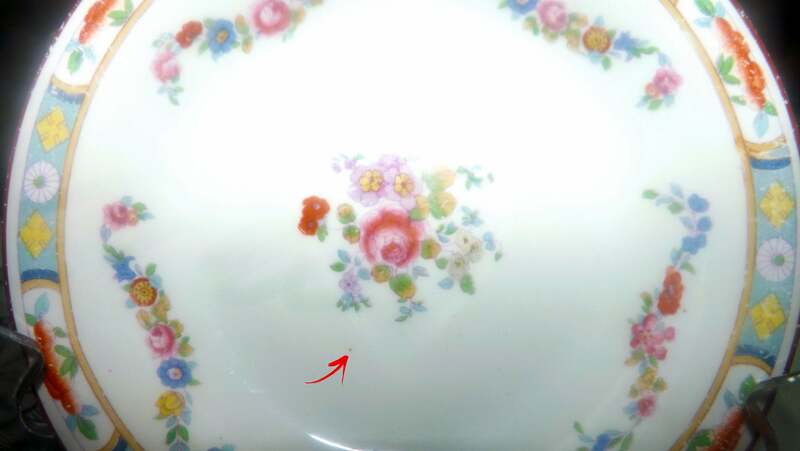 Art-nouveau, flowers, red edge. 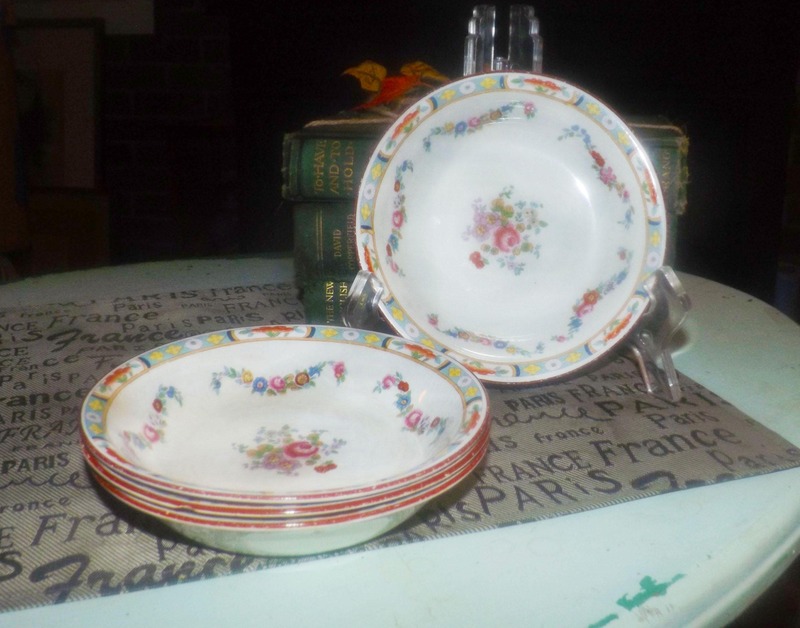 Set of 4 antique (1912) J&G Meakin Hanley England Richmond White pattern hand-painted fruit nappies, dessert or berry bowls featuring an art-nouveau border with multicolor flowers and center flowers set against a white ground with a smooth, red edge. 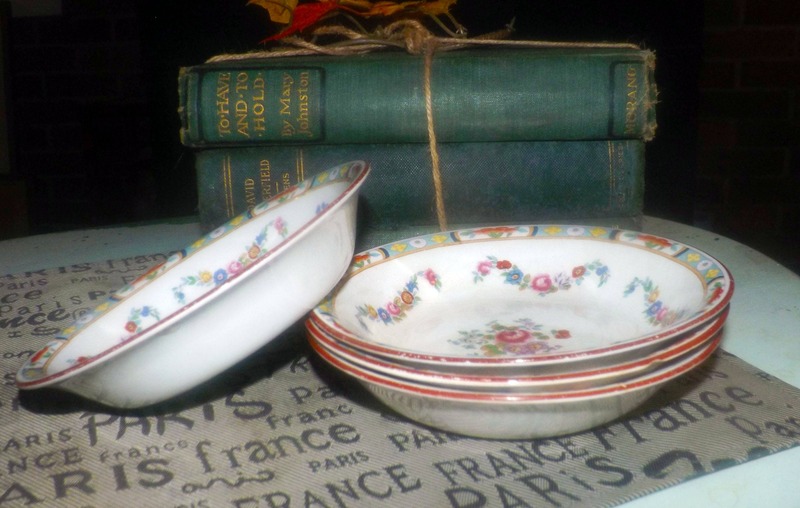 Very hard to find, three of the four bowls are in EXCELLENT! condition with NO! chips, nicks, or fleabites. 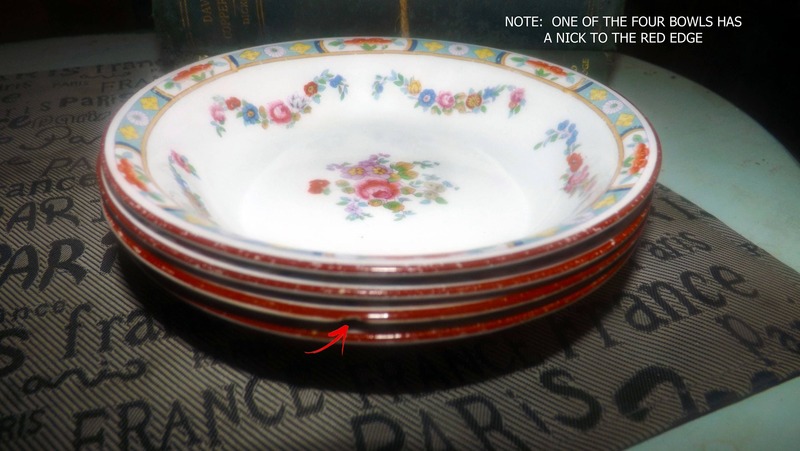 One of the bowls has a nick to the red edge. 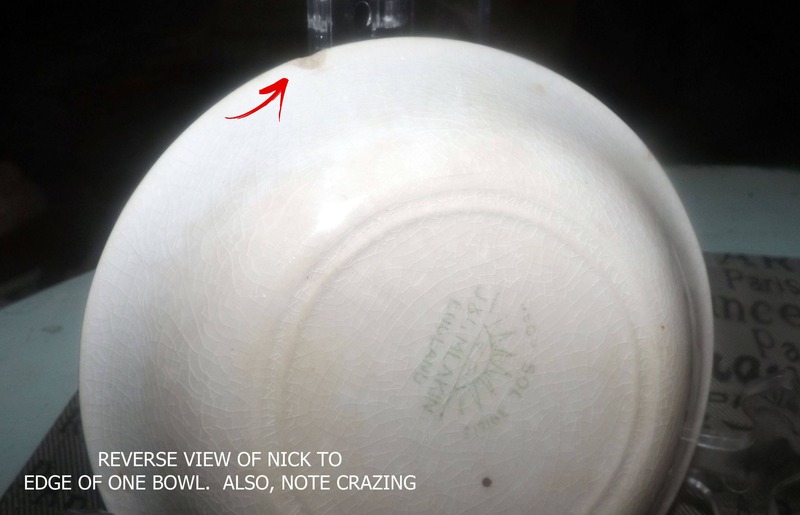 All of the bowls show age-appropriate crazing and there are a couple of WEE! 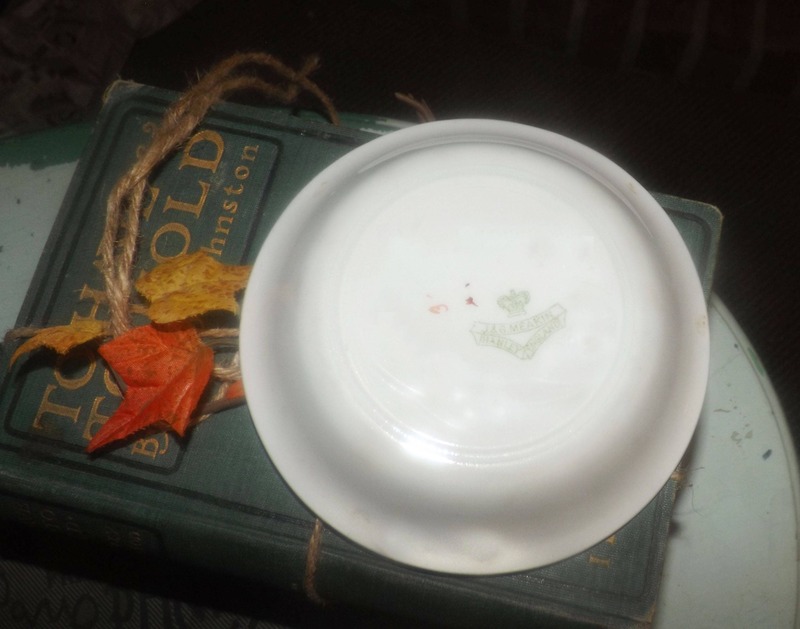 spots of browning through the glaze and wear | rub to the smooth, red edge. 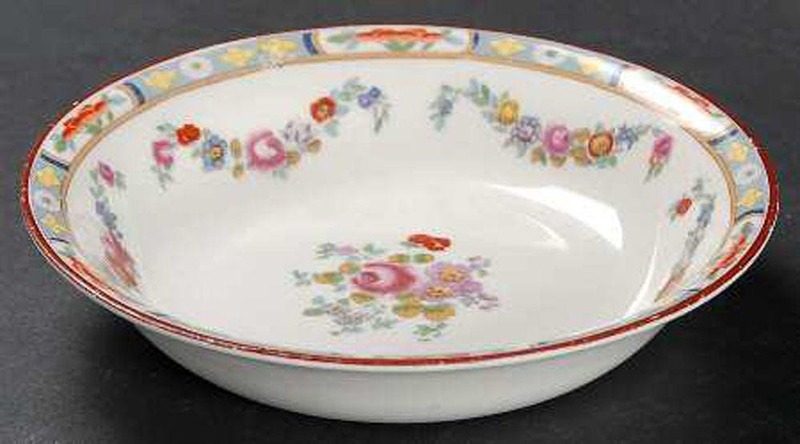 The multicolor florals and floral swags and art-nouveau border band are bright and vivid with NO! fading apparent. 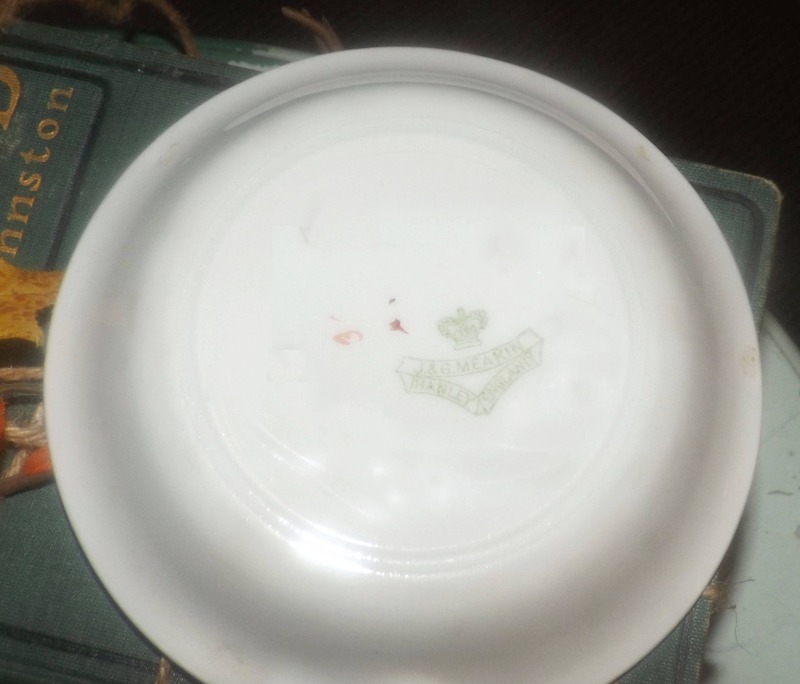 Bowls bear both the J&G Meakin stamped mark of the period and the impressed mark to base, as well as the artist's mark in red. Approximate measurements: 5-1/4" in diameter x 1-1/2" deep with a smooth, red edge.